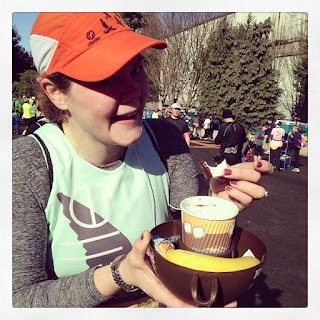 Registrations are ramping up for Seattle Hot Chocolate 15K/5K, so I thought I'd re-share the deets here (and because I'm having some hiccups with redirects from Born And Raced......). Here's this season's Hot Chocolate 5K/15K Seattle freebie! 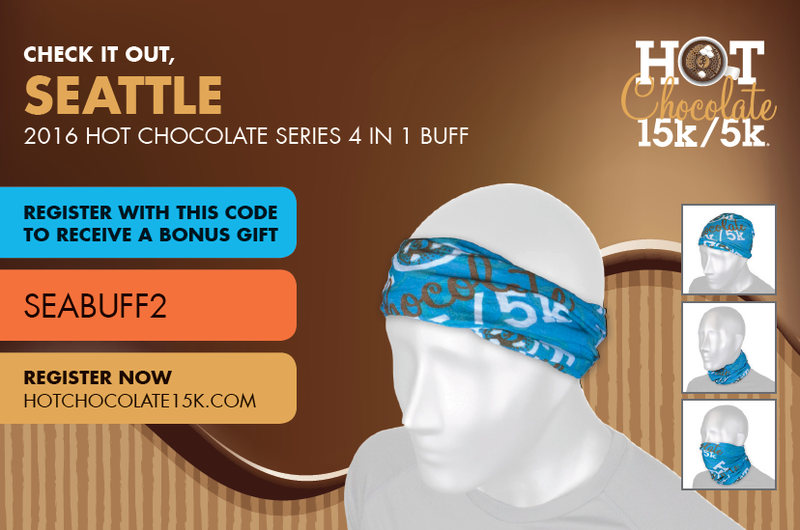 Use code: SEABUFF2 for a free buff when you register for the Seattle 15K OR 5K. The race is Sunday, March 6th 2016 - perfect time of year for some hot chocolate. 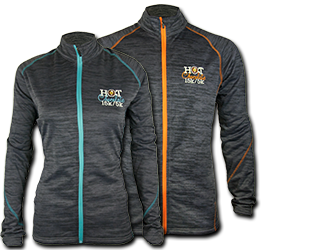 Full zip, fleece lined tech jackets! And again, there will be medals for the 15K - super cool, city-specific bling. The folks at RAM Racing put a lot of thought, time and effort into choosing the hot cocoa and fondue - trust me. 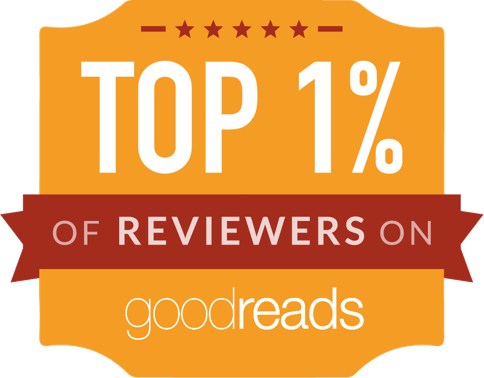 And it is goooooood. They have an option this year to have your packet sent to your HOME! This is really great, since it can be a bit of a bear to head to the Seattle Center twice in one weekend for most people. And they have added NUUN as the on course hydration! This makes me super happy. Go here and check out this great race series!